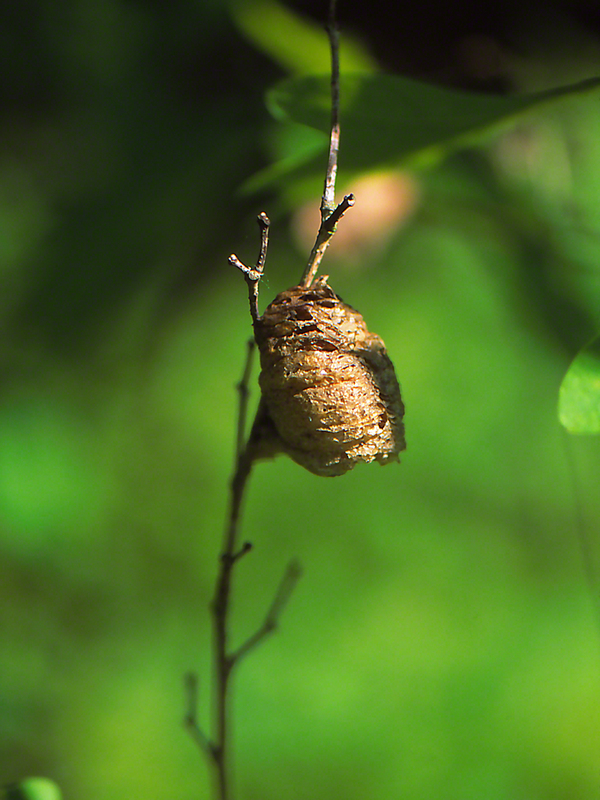 Why do we marvel at Praying Mantis’ Egg Masses? Coming Soon, Real Soon . . . .
Who can resist? June 2014, and there in Doak field, in the field, we discover . . . a Praying Mantis (Mantis Religiosa) egg mass. Butterflies are why we’re out there, but, who can resist stopping for a moment to examine this wonder of wonders? What is inside? Eggs. What is the outside material? A substance produced by the female, that hardens, and . . . and serves many roles, one of them is it repels birds. It discourages birds from eating the eggs within. Impressive. When it is 0 degrees F in that field in January 2015, those eggs remain viable. Suspended on this twig, the entire egg mass never comes in contact with the snow that covers the field, again and again throughout the winter.